We’d like to invite our parents and students to Bakersfield P.S. 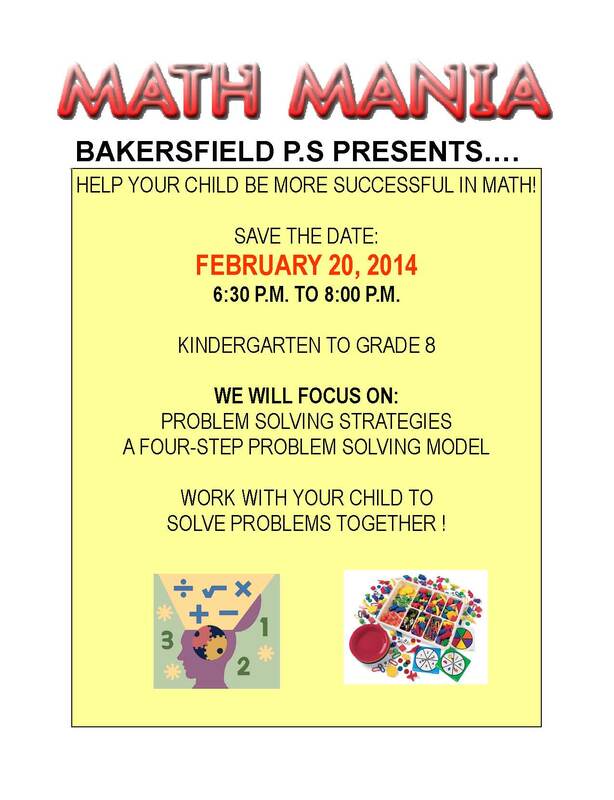 for a special evening to learn more about math and how parents can work with children to solve problems in math. Families from kindergarten through grade eight can learn about mathematics in the Ontario curriculum, and specific strategies for solving problems. More details can be found in the flyer. We look forward to seeing everyone there.